“Economic prosperity and fiscal responsibility will only return to Iowa if Governor Reynolds and Republican legislators start working in a bipartisan way to make smarter investments in Iowa workers and their families. “With complete control of the Iowa Capitol, Statehouse Republicans adopted a my-way-or-the-highway approach to budget and policy decisions during the 2017 session. 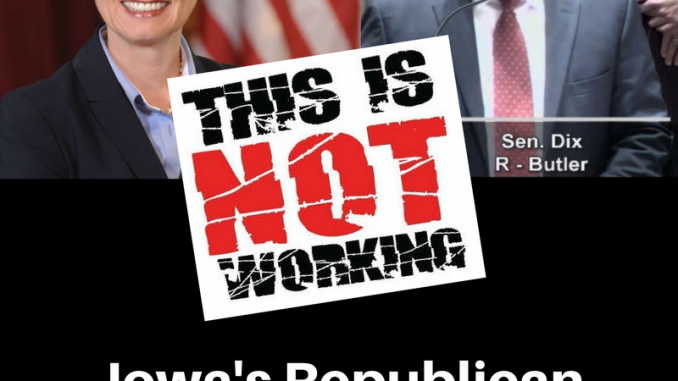 This meant that they ignored the voices of working Iowans who were begging Statehouse Republicans to keep their two biggest campaign promises: Raise family incomes by 25 percent and create 200,000 new Iowa jobs. “Governor Reynolds and legislative Republicans continue to break those big promises and working Iowans – especially those in smaller towns and rural areas – are paying the price.